This enclosure was designed and built for an on-site electrical contractor so he could use his testing equipment in any weather. 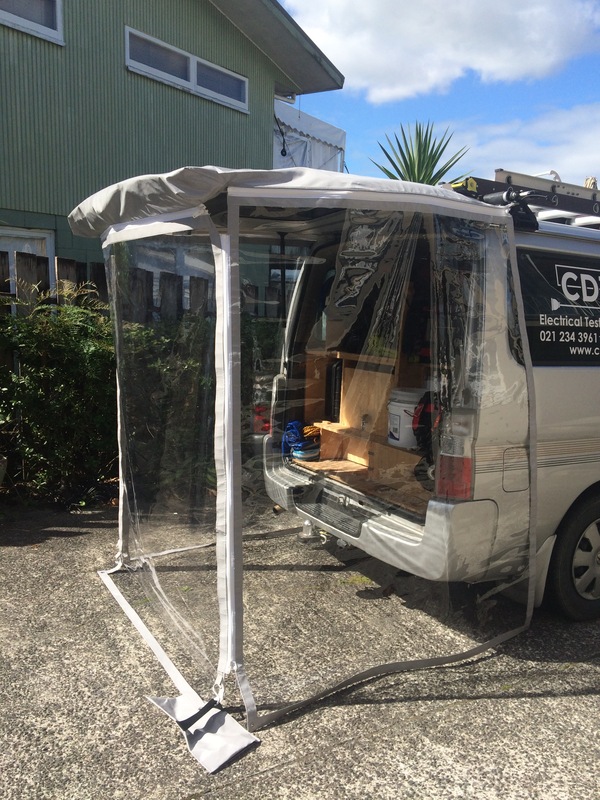 It features three clear zip-together wall panels that attach to a PVC fabric "envelope" which simply slips over the open rear door of the van. 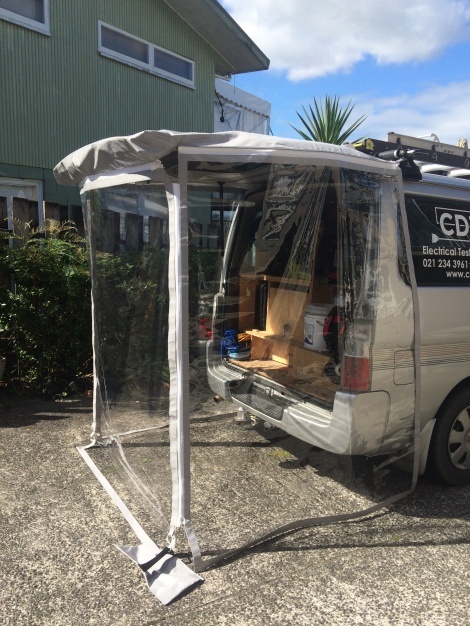 Custom made to suit any van.